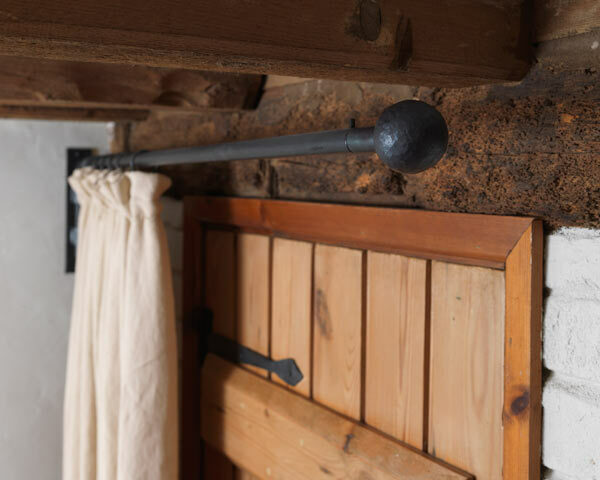 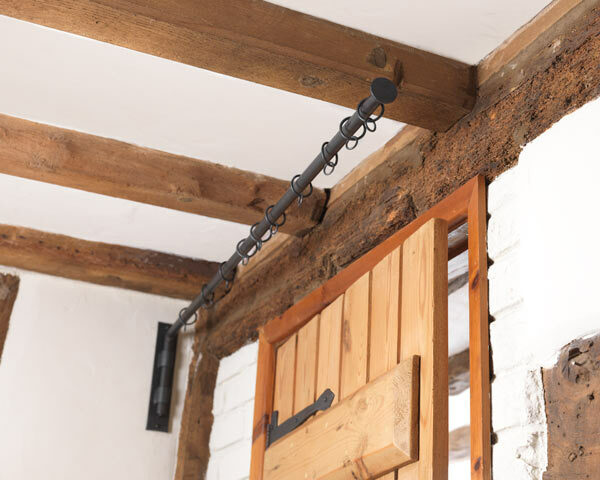 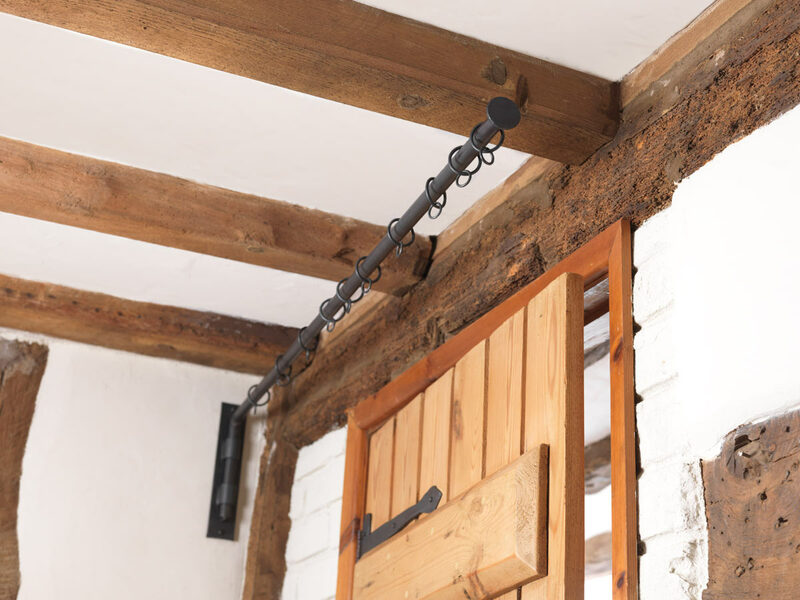 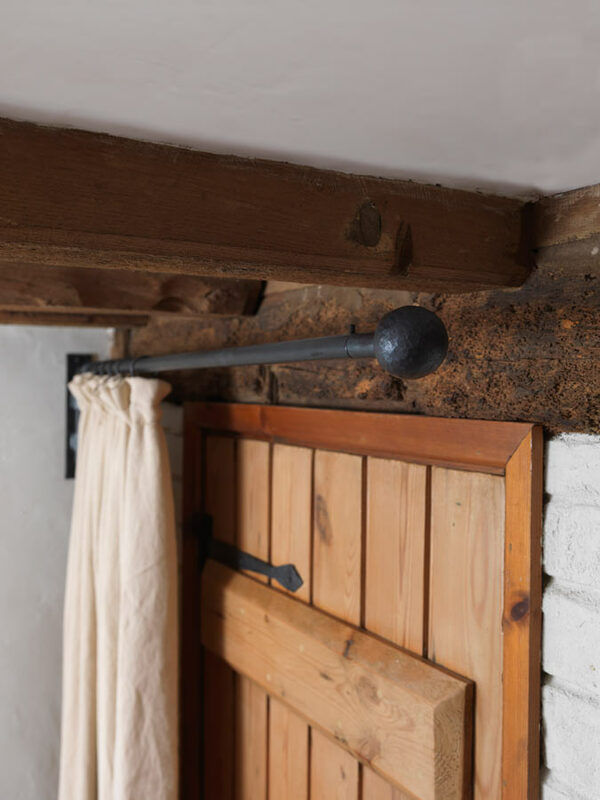 Each finial includes a short stem with a pin that slots into the curtain pole..
Our Portière Rod, Door Curtain Pole is made of a solid 20mm iron rod attached to a handmade bracket which screws to the wall and allows the rod full movement (given the room) of 180 degrees. 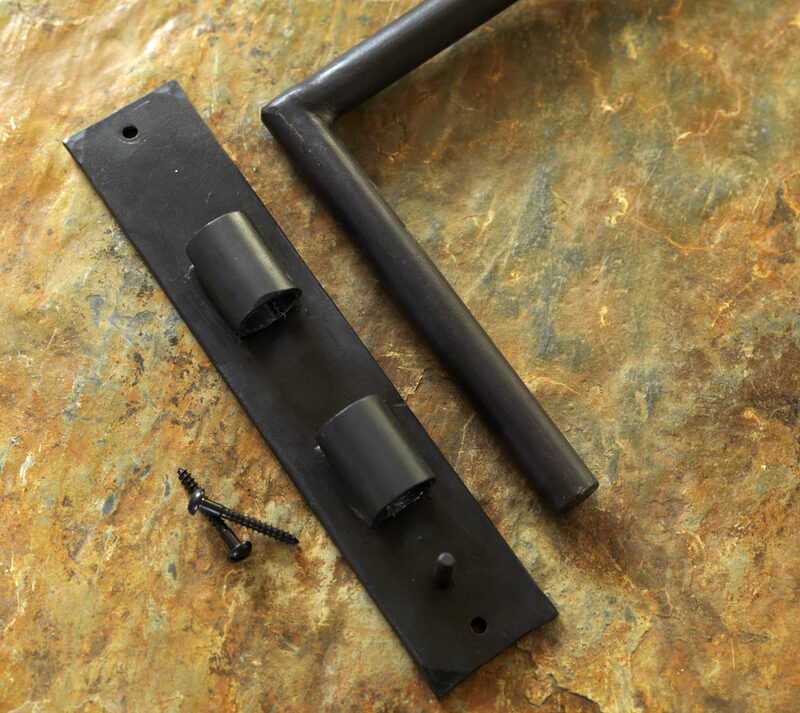 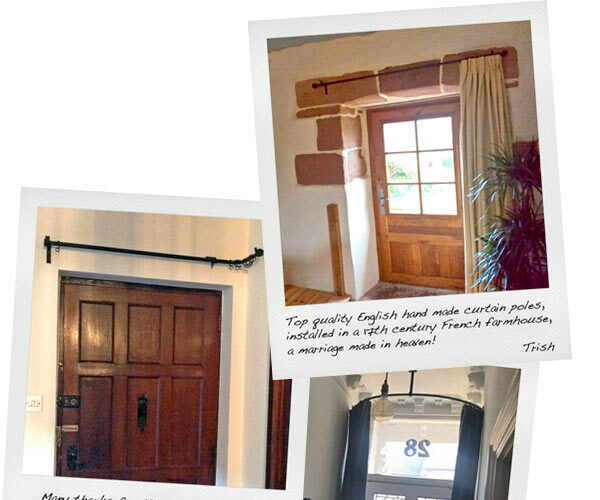 The pole is made to measure for either left or right opening doors and can feature any finial from the 20mm range. 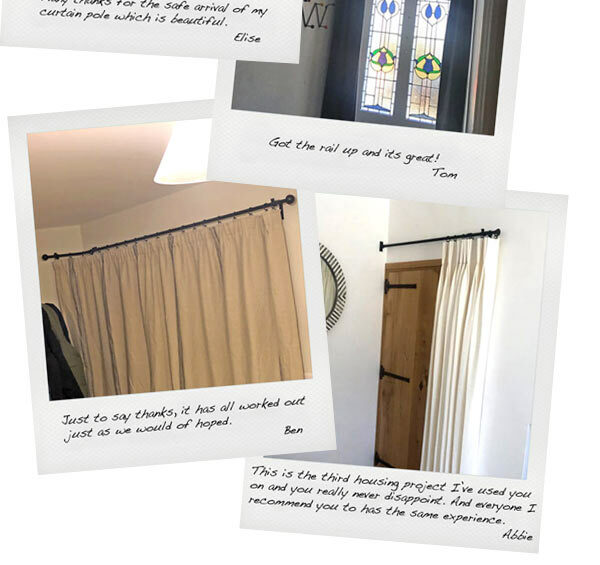 Drawing curtains together acknowledges the importance and emotional comfort of home. 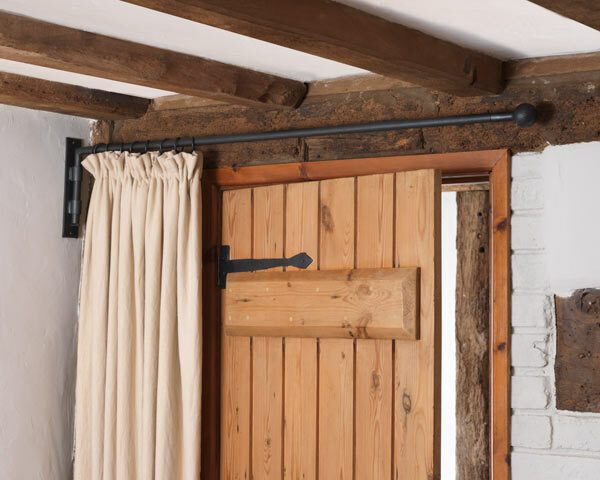 It signals a subtle change in a room’s mood, a symbolic and practical defence against the dark and cold outside. 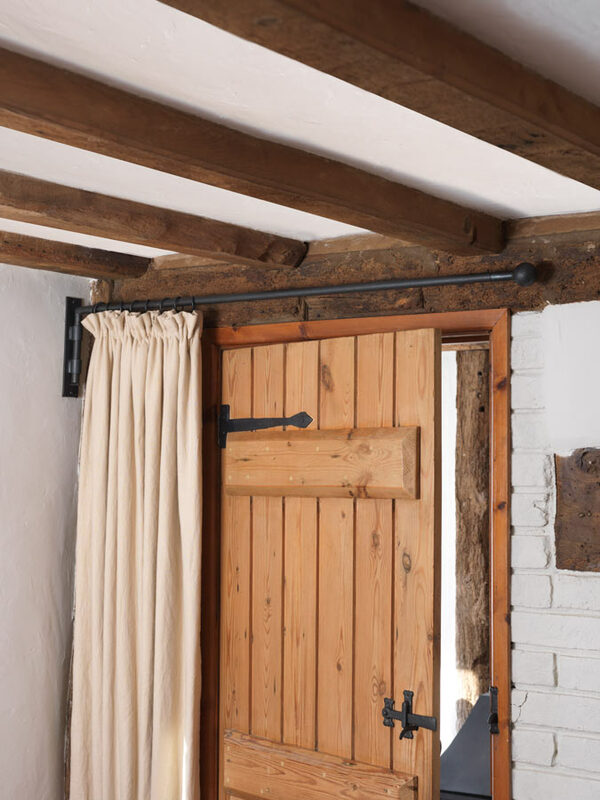 Traditionally, windows get all the attention when it comes to curtains but some doors would significantly benefit from a door curtain, or a Portière, keeping out draughts and creating the feeling of being snug in a warm house, protected from the elements by a decorative curtain.